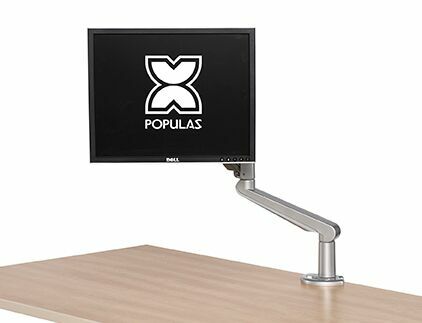 How to order. 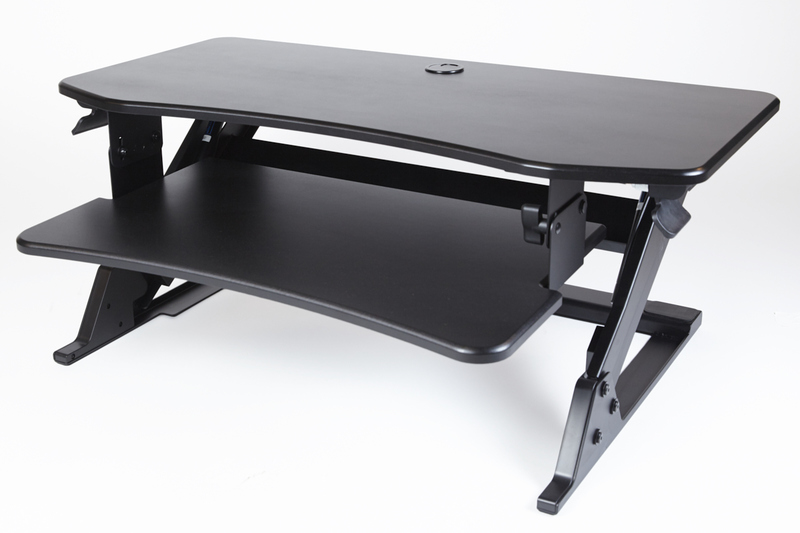 Please ask about quantity discounts and shipping quotes. 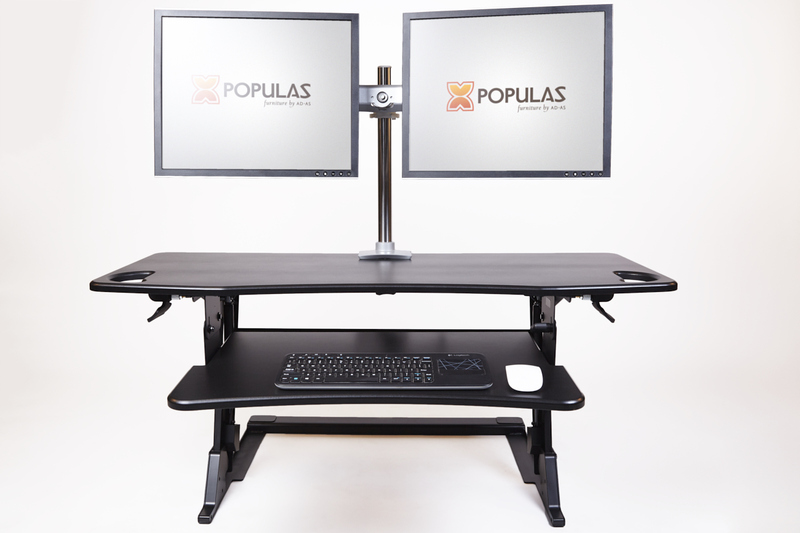 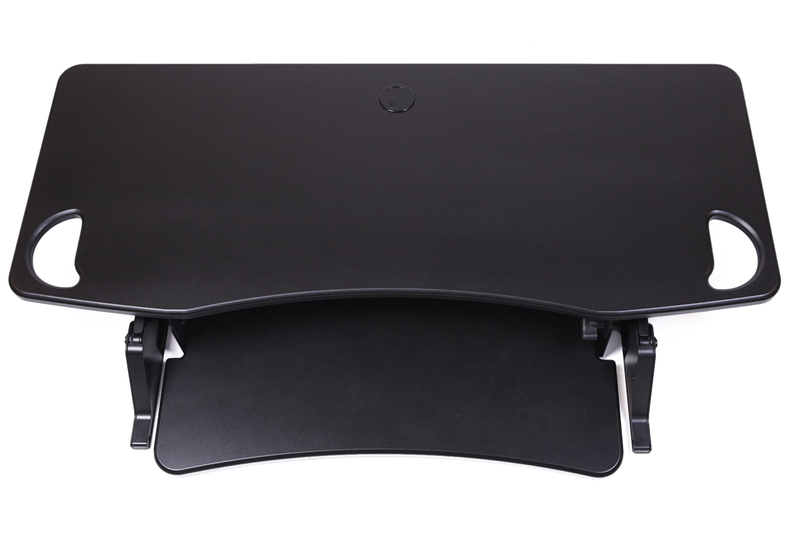 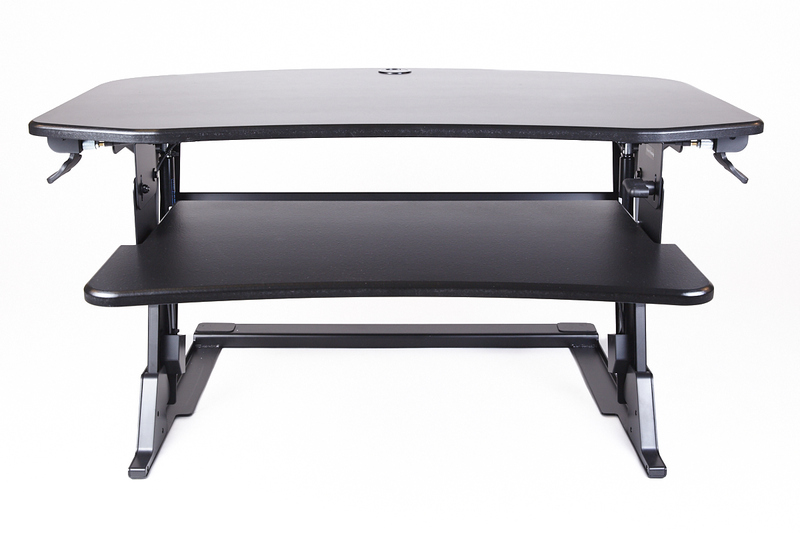 The Populas Elevo Sit to Stand Desktop converts an existing desk to a sit-stand workstation. 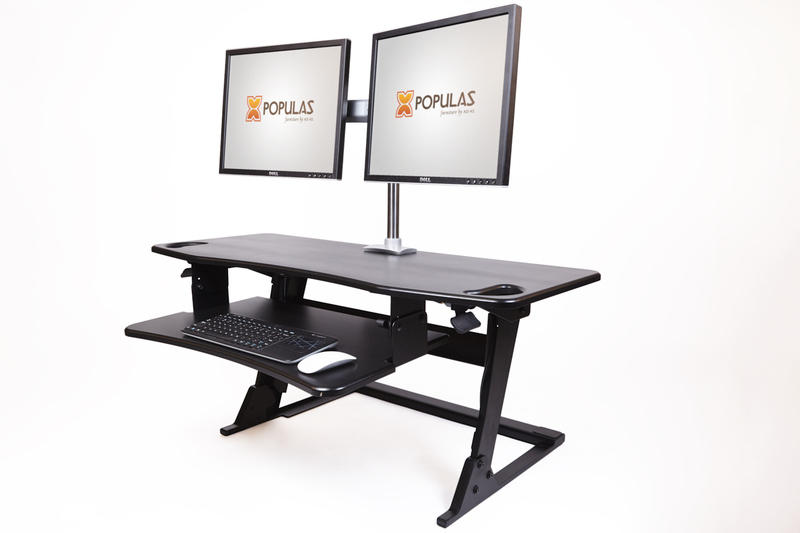 This Populas Workstation solution rises up 2.5 inches higher than our competitors’ products, which is important for taller users. 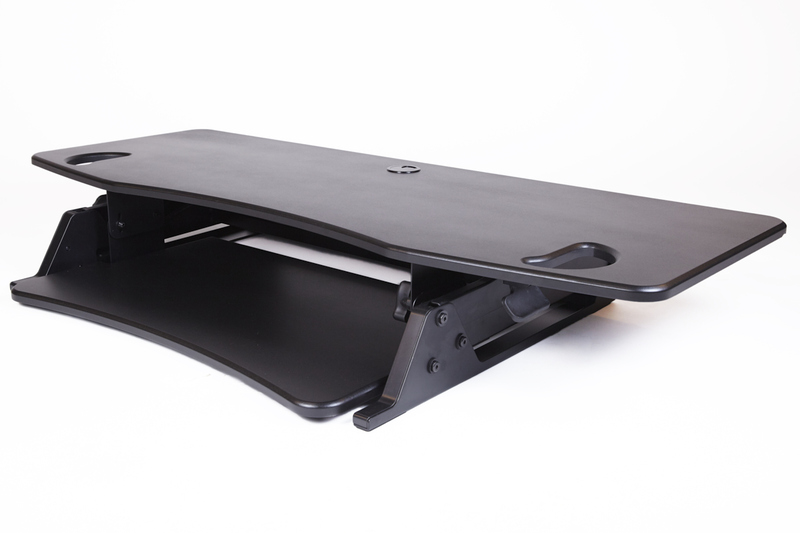 Our Sit to Stand solution requires no tools for assembly or adjustments, making it easy to retrofit. 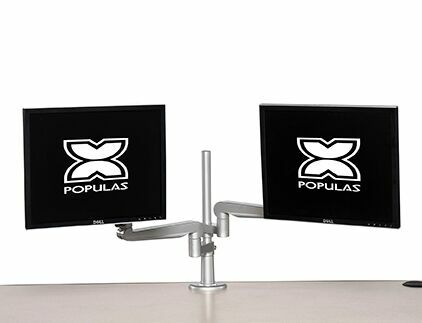 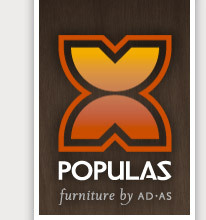 The Populas Warranty is a Two Year Warranty verses a one year warranty offered by competitors.